Offering you a complete choice of products which include tanishq - gift card - gift voucher. Tanishq is a brand name that inspires confidence among buyers. This store houses exquisite precious metal jewelry that uses precious and semi precious stones including diamonds. People purchase at Tanishq because this is a name, they trust. You can go for eighteen to twenty two carat gold jewelry along with ornaments designed from platinum. Every piece in the store is sure to astound you because of their dazzling beauty, fantastic artistry, and sheer variety. If you love the ornaments that add to your personality and make you stand out anywhere, Tanishq Gift Voucher is ideal for your needs. 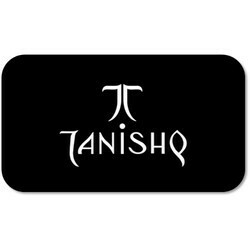 Looking for Tanishq - Gift Cards - Gift Vouchers ?